For a generation American manufacturing has been widely seen as a “declining sport.” Yet its demise has been largely overplayed. Despite the many jobs this sector has lost in the past generation, manufacturing remains remarkably resilient, with a global market share similar to that of the 1970s. More recently, the U.S. industrial base has been on a powerful upswing, with employment climbing steadily since 2009. Boosted by productivity gains and higher costs in competitors, including China, U.S. manufacturing exports have grown at their fastest rate since the late 1980s. In 2011 American manufacturing continued to expand, while Germany, Japan and Brazil all weakened in this vital sector. To determine the best cities for manufacturing my colleague Mark Schill at Praxis Strategy Group measured the 51 largest regions in the country in terms of how they expanded their “heavy metal” sector — think automobiles, farm and energy equipment, aircraft, metal work and machine shops. We averaged absolute growth rate and momentum in 148 heavy metal manufacturing industries over ten-, five-, two-, and one-year time frames. Our top ranked area, Houston, is one of only four regions that enjoyed net job growth in manufacturing in the past 10 years. 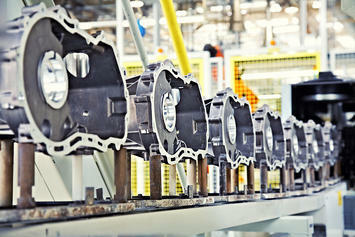 This year its heavy manufacturing sector expanded by almost 5%. Houston’s industrial growth is no fluke; over the past year its overall job growth has been about the best among all the nation’s major metros. This shift towards domestic energy augurs well for a huge and economically beneficial shift in America’s longer term economic prospects, he points out. Cheap natural gas, for example, makes petrochemical production in America more competitive than anyone could have imagined a decade ago. Linkages with Mexico in terms of energy as well as autos has made Texas — which is also home to No. 4 ranked San Antonio and No. 15 ranked Dallas — the nation’s primary export super-power, with current shipment 15% to 20% above pre-crisis levels. These gas finds may help ignite the heavy metal revival. As coal-fired plants become more expensive to operate due to concerns over greenhouse gas emissions, the region will have a new, cleaner and potentially less expensive power source. But the industrial rebound is not only about energy. Another critical factor is rising wages in East Asia, including China. Increasingly, American-based manufacturing is in a favored position as a lower-cost producer. Concerns over “knock offs” and lack of patent protection in China may also spark a growing “Made in the USA” trend. The shift back to U.S. production may be a great sign for many regions. Our No. 3 ranked area, Seattle-Tacoma-Bellevue, is picking up heavy metal jobs associated with the aerospace industry. A growing focus on domestic production for Boeing’s new aircraft could bring even more prosperity to the high-flying region, which also ranked No. 1 on our recent technology industry growth ranking. If new industrial growth is just another piece of good news in the Pacific Northwest, it’s manna from heaven to the long suffering industrial heartland heavily concentrated in the Great Lakes region, which includes much of Ohio, Michigan, Indiana, Illinois , Wisconsin and Minnesota. Long reviled as the “rust belt” this area now leads in the industrial rebound with over 100,000 new manufacturing jobs in just the past year. Particularly well positioned is No. 2 ranked Milwaukee, which is home to a wide array of specialized manufacturing firms ranging from machine tools to energy. Over the past year alone the region added almost 3900 heavy metal jobs and has consistently led other Great Lakes communities in job creation. But Milwaukee is not the only rust belt rebound town. The greater Detroit area, No. 6 on our list, actually added the most heavy metal jobs — more than 12,000 — than any region of the country. The area’s ranking, however, was dragged down by its legacy; greater Detroit still has lost almost 130,000 positions in the past decade. The heavy metal revival has a long way to go. And we cannot expect it to produce the same kinds of jobs produced in the last century. For example, the new jobs will be more highly skilled; even as the share of the workforce employed in manufacturing has dropped from 20% to roughly half that, high skilled jobs in industry have soared 37%, according to a New York fed study. Regions seeking strong industrial growth will have to focus more and more on training more skilled workers. Even after years of declining employment and surplus numbers of graduates in the arts and law, manufacturers in heavy industry are running short on skilled workers. Industry expert David Cole predicts there could be demand for 100,000 new workers by 2013. According to Deloitte Touche, 83% of all manufacturers suffer a moderate or severe shortage of skilled production workers. The resurgence of heavy metal should lead regions, and the federal government, to consider shifting their emphasis toward productive, skilled based training and away from a single-minded focus on the BA or graduate degree. Few regions suffer a shortage of art history or English graduates. This more practical emphasis is particularly critical for the Midwest, which is home to four of the ten highest-ranked industrial engineering schools in the nation. Even more important: training workers for the assembly lines of tomorrow. These jobs, notes Ariel’s Karen Wright, will require not BA degrees but high degrees of math and mechanical skills that can be apply to expanding companies like hers. As we enter a new economic era, regions should look beyond the current obsession with “creative” and “information” industries. Instead, they should focus on a resurgent industrial economy — which then can provide a customer base for advertising, graphics and software companies — as a primary driver of economic growth. Turn down those soulful Adele tracks: Heavy metal is back. Score consists of 10, 5, 2, and 1 year job growth rate and job momentum and 2011 industry concentration. Analysis includes job data from 148 six-digit NAICS industry sectors covering Primary Metal Manufacturing (NAICS 331), Fabricated Metal Manufacturing (332), Machinery Manufacturing (333) and Transportation Equipment Manufacturing (336). Mark Schill of Praxis Strategy Group perfomed the economic analysis for this piece. Submitted by moonkahn on Sun, 05/24/2015 - 04:19. Submitted by moonkahn on Fri, 05/01/2015 - 09:57. Submitted by moonkahn on Wed, 04/15/2015 - 06:06. The learning lab is providing the best Maths and Middle School Tutor Sydney and if you are looking for maths tutor for your child contact us now! Submitted by cartercj1122 on Wed, 07/09/2014 - 05:15. Submitted by Richar1122 on Sun, 06/16/2013 - 07:51. Submitted by Monag111 on Thu, 04/25/2013 - 08:54.